If it is an OEM key on the label, then it probably won't work. The key used by the manufacturer is different. You can install XP by saying No to Enter a Product Key Q and carry on with the install. Then ring MS and ask them for an activation key - to get this the mainboard must be a replacement board and it should be the same system. Or they may refer you to the original manufacturer and tell you to get advice from them. ok the system is now up, but now the drivers are all missing, So thats the next headache! Thanks for the advice to those that offered it. Once I get the system up i think i'll do some research through the forum on just exactly what you can do with a usb memory stick, It seems to me to be so much more practical than scratch prone plastic discs. Glad it's working. You might also like to check the Tutorials on my site too. Tutorial 111 might prove useful to you if you think you may be reinstalling the same system again in the future. I have an idea to have a particular multiboot situation with Grub or Syslinux on a USB flash drive. There would be multiple partitions on the flash drive, with one partition having Windows XP installer, another having Windows 7 installer, another with YUMI for linux distributions, another for Hiren. Can the Windows boot sector (or whatever it is called) on the CD/DVD, be used on the PBR rather than the MBR? Possible? Maybe you were explaining this to me earlier, Steve, but I just couldn't understand, so I started trying to read your stuff. Would it be much to ask for a tutorial? note1: I realize YUMI supposedly can do Windows installs, and so can Easy2Boot, but these methods are far from unattended, requiring intervention on two reboots, and with other major complications relating to Windows not being able to find itself. note2: I know this is going to make a lot of GPT fans cringe... no PBR in GPT partitioning! Maybe it isn't needed I dunno. note3: Am I trying to reinvent the wheel? Not that it's impossible or too difficult, but why all the mess? WinSetupFromUSB and Easy2boot can handle just about any mix of sources in a single partition, why would you need to go into way more complicated setup with multiple partitions on a removable drive? When you decide to edit contents of the disk, you'd have to switch visible partition to Windows as well. Of course a filter driver or flipping the removable bit so Windows works with a fixed disk and all partitions is a way around, but again, is it really worth, unless you have something else in mind? 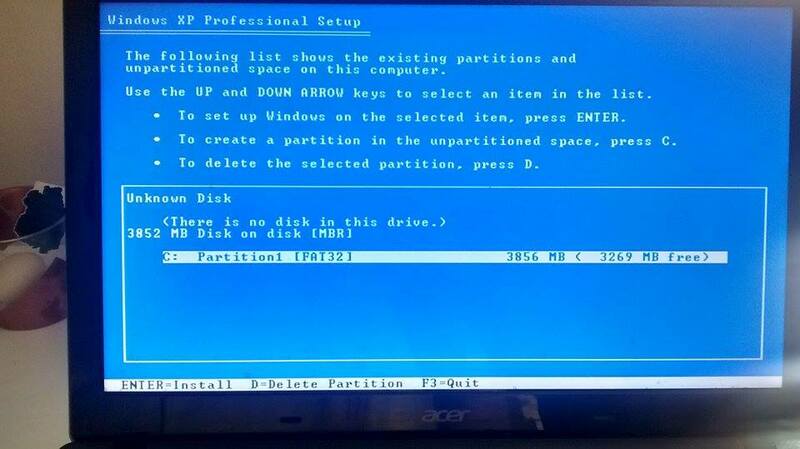 If you dislike that you have to boot twice from USB or the need to defragment the ISO file when installing XP try WinSetupFromUSB, it requires one boot from USB and if the second boot happens to be from USB it will boot the first hard disk automatically, this applies for NT6 setups as well. Because I want to keep the files of different Windows installers from mixing all together: it makes it easier to use folder comparison programs. Because I don't want the files in an ISO. I have to keep recreating an ISO for no particular reason. I am already using the driver that shows all the partitions on the flash drive. Why not have this driver? It appears to be superior.
"" 6. Are customized Windows sources supported? Generally speaking- yes. Due to the numerous ways to customize XP for example, it’s hard to test every kind of customization, hence severely modified sources may not install properly. In case of NT6 (Vista and above) customized source, as long as updates or hotfixes are integrated into install.wim and using postsetup.cmd script, which seeks for files on the system drive, rather than the source DVD, there should be no issues. "" @ilko, something tells me I will have issues with WinSetupFromUSB. Edited by mraeryceos, 13 February 2014 - 11:17 PM. Manufacturer has some basic guidelines, $OEM$ goes to <DVD>(USB)\sources\$OEM$. Setup, in PE phase, copies contents to destination drive. First reboot. $OEM$ is not needed and used any more, nor should be other folders/files on the DVD/USB. Custom scripts search their things in the already copied contents of $OEM$ to the destination drive, not on the DVD/USB. Nothing is broken, everyone is happy, there are some rules followed. Of course, there are sources which are customized in a different way with different needs. One may not want to copy OEM content to the destination drive for some reason, shared OEM folder for several sources, big sized contents, place it elsewhere as in your case and explicitly search for it etc. Can such sources be easily added programatically in a multiboot scenario? Unfortunately there has to be some trade off, a little user intervention and understanding what is what and how it works, second boot from USB, no multiboot, or some other limitation. Back to your proposal. I think you should start a new topic, post what requirements are, since they seem specific, and we can get it going. Here we are kinda invading. Thanks. I changed that part of my install method to copy contents to the drive, and invoke from there, instead of the flash drive. Later I delete what was copied over. Now my custom windows installer is compatible with WinSetupFromUSB, and probably a lot of other multi-boot utilities. ...or I may go with Rufus in combination with multiple partitions, LOL. I may start another thread for that as you requested. Do you use AHCI mode? Configure BIOS to IDE mode. Yep , very useful, I am pretty sure that a large majority of our members speaks and understands Vietnamese . this solved my headache to make usb as flash drive... there's a lot complicated way to do.. but yours one very helpful! thanks a lot!!! I have a problem, I was succesful with making a bootable flash drive, but during instalation I don't see a partition on my hard drive, where I could instal it. I have one hard drive, separed into two partitions, one 400 gb, one 20 gb, but in setup I see only flashdisc. Any thoughts where is the problem? Is the hard disk IDE or SATA? How did you make the flash drive and did the original XP ISO include SATA drivers for the hard disk? Standard XP does not include SATA drivers. Try installing using Easy2Boot or WinSetupFromUSB. Thanks for reply. Disk seems to be ATA (Don't know if there is a difference). I used Nowvcorp WinToFlash program to make USB flash device. ATA could be PATA (IDE) or SATA ?? See if there is a BIOS option to set it to IDE\Legacy or non-AHCI. I changed it to IDE in BIOS, but after that there was blue screen of death repeatedly and I was not possible to start a Windows, so I will try that Service pack 3. What error code on BSOD??? 0x??????? ?